Objectives: The aim of this study is to evaluate the perception and experience of recurrent pregnancy loss through the perspective of women in the United Arab Emirates(UAE). 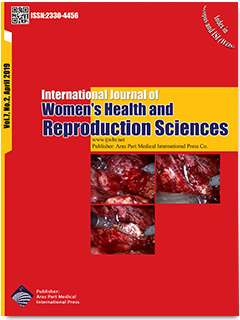 Materials and Methods: This qualitative study was conducted in 2017 and12 women with recurrent miscarriage were interviewed using purposive sampling method in the Medical and Health Clinic of the Department of Obstetrics and Gynecology under the supervision of the UAE Medical University. Transcribed interviews were analyzed using conventional content analysis. Results: Data analysis led to the extraction of 3 main themes, including:endless pregnancy, thirst for support and affirmation, and religious beliefs. Conclusion: The experience of recurrent miscarriage means endless pregnancy from Arab women’s perspective. This has awakened a thirst for support and affirmation; the utilization of religious beliefs has greatly reduced their pain. Therefore, knowing the dangers and consequences of recurrent miscarriages in Arab women, adopting preventative measures, and improving the quality of care in these vulnerable women require special attention.